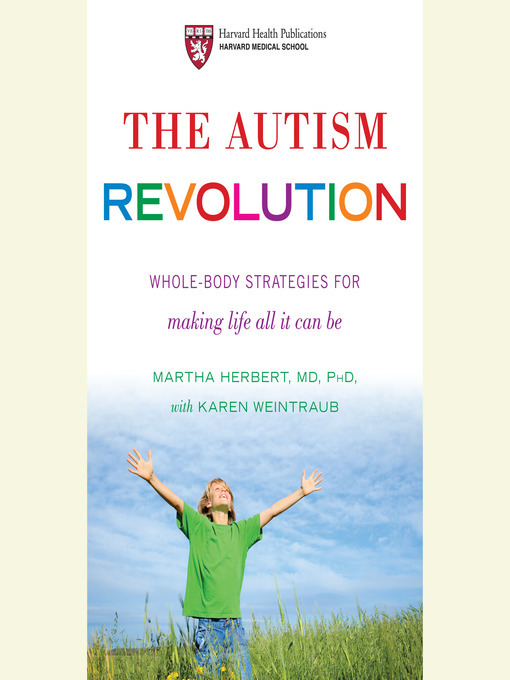 Move beyond conventional thinking about autism. . . .
After years of treating patients and analyzing scientific data, prominent Harvard researcher and clinician Dr. Martha Herbert offers a revolutionary new view of autism and a transformative strategy for dealing with it. Autism is not a hardwired impairment programmed into a child's genes and destined to remain fixed forever, as we're often told. Instead, it is the result of a cascade of events, many seemingly minor: perhaps a genetic mutation, some toxic exposures, a stressful birth, a vitamin deficiency, and a series of infections. And while other doctors may dismiss your child's physical symptoms--the diarrhea, anxiety, sensory overload, sleeplessness, immune challenges, and seizures--as coincidental or irrelevant, Dr. Herbert sees them as vital clues to what the underlying problems are, and how to help. In The Autism Revolution, she teaches you how to approach autism as a collection of problems that can be overcome--and talents that can be developed. Each success you achieve gives your child more room to become healthy and to thrive. Drawing from the newest research, technologies, and insights, as well as inspiring case studies of both children and adults, Dr. Herbert guides you toward restoring health and resiliency in your loved one with autism. Her specific recommendations aim to provide optimal nutrition, reduce toxic exposures, shore up the immune system, reduce stress, and open the door to learning and creativity--all by understanding and truly meeting your child's needs. As thousands of families who have cobbled together these solutions themselves already know, this program can have dramatic benefits--for your child with autism, and for you, your whole family, and your next baby as well. A paradigm-changing book that offers hope and healing for the millions of families who have autism in their lives, The Autism Revolution shows that there's plenty you can do every day to give someone you love the best possible gift: a life lived to the fullest potential.